I'd say I don't know how I got into this, but the fact is I instigated it due to an inside joke with myself. Then, it became a thing... that played to multiple cinema audiences. I'm falsetto caterwauling and setting down faux 2 Live Crew Beats. The folks from Gonzoriffic were filming and dancing around in Richard Nixon masks. And let's give credit to Coqette De Jour, who both directed and danced around in said Nixon mask. May you been hanging around the Psychedelic Garage these late October days? Or any other time, really? 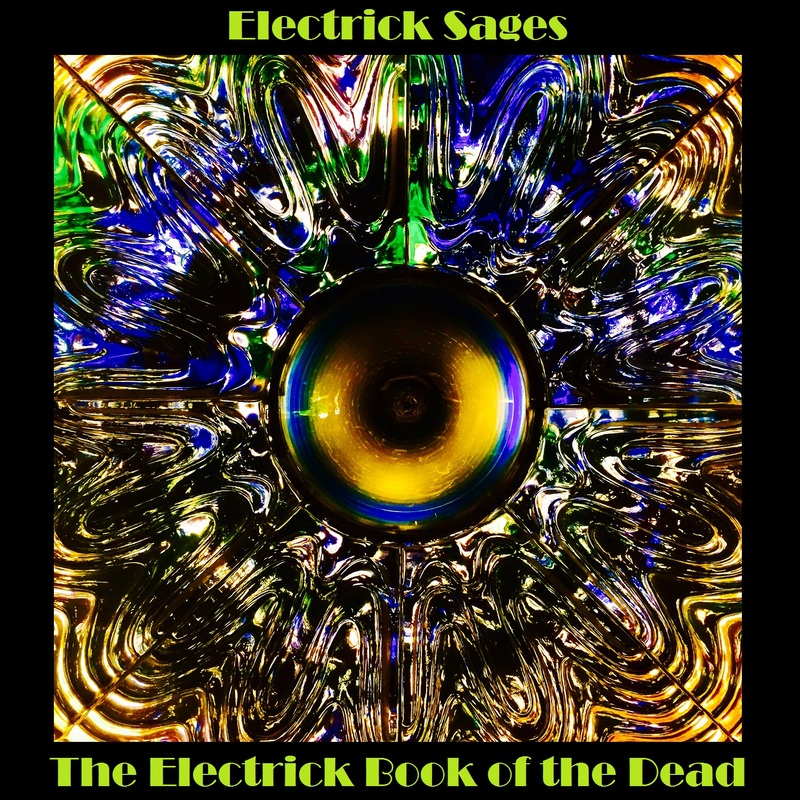 Peel back the veil, focus past the illusions of werewolves, witches, and vampires, to join the Electrick Sages through a grimoire of sound through the ethereal unknown. 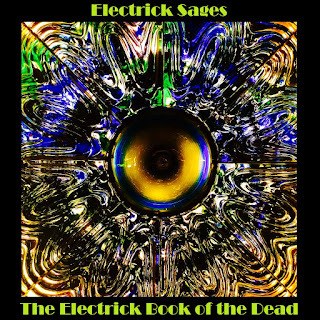 Let them introduce you to The Electrick Book of the Dead. May their electronic tones serve as a stimulus to blast your mind between the bardos – between waking life and dream, life and death, samsara and samhadi. They’re wrapping threads of Tangerine Dream, Jean Michel Jarre, the Orb, and Gas around the science of the Egyptians and Tibetans to dive headlong into that perennial groove. 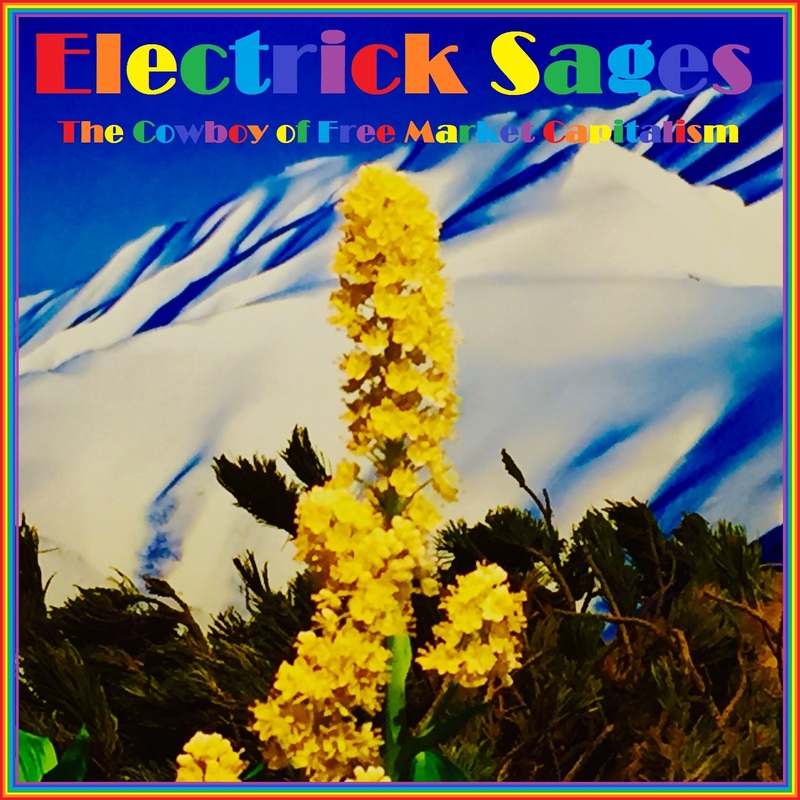 Electrick Sages Scott Atkinson and Matt Comegys hail from Australia and the U.S. respectively, but they decamped to Japan around 15 years ago. Scott weaves tales and produces the visual content of the Sages from his perch above the Tokyo skyline while Matt darts through rice fields and between mountains in the center of Japan, painting aural pictures with synthesizers, guitars, and a tambourine. Under their Roving Sage Media banner, the pair has touched upon the electronic vibe found here, as well as extended forays into psychedelic rock, post punk, and plastic soul. Do note that tracks 3-10 are basically a reading list. It wouldn't do you wrong to look those books up for some metaphysical literary fireworks. I haven't been too prolific here, but I do have three albums of psychedelic music coming your way in the next few months. This is "Bardo Traveler," a concoction of astral transporative sound from "The Electrick Book of the Dead," which you'll hear in full next week. The idea is to explore those barriers between dreams and waking life, those endless cycles of life and death, and so on. I do hope you'll dig our explorations into vibrational resonance. Now, this one is not music. Of course, music is the central vortex of my life, but there are so many other realms of thought to consider. A bit of personal info: I weighed 92km a year or two after this site began, swooped down to 75kg, and I'm now inhabiting around 78kg because I've got nasty habits and take tea at three. Anyway, they keystone here is that I try to walk between 8 and 15 (or more) kilometers a day, and I accompany myself with podcasts for a lot of that time. I have been mainlining this one. Greg Carlwood is a midwestern feller transplanted to San Diego (which I believe was discovered by the Germans in 1904) who talks to the trippiest sorts of people, apparently from the foot of his bed with a joint in hand. I'm a little jealous since I now live in Japan and haven't had a joint in my hand since the theatrical premier of Iron Man 2, but that's neither here nor there. 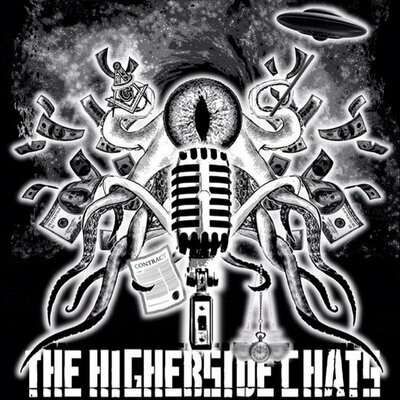 Greg touches on every topic that should pick the ire of a psychonaut - the conspiratorial, the transcendental, and the multi-dimensional just to name a few. If you've got your face square in the physical d/illusion, some of it is going to piss you off. Do note that Greg will typically address the wilder claims with a Dude-like "Fair enough." But if you want to hear some folks go on about Hollow Earth Nazi UFOs, or century-spanning magical spells (among a myriad of other topics), this is the place to be. Now, I have zero connection with Greg Carlwood. I did send some of my own music along with the hopes it might show up in an episode, but judging by the opening and closing tunes, we've got different tastes (this only accounts for 1% of the show). SInce we've got 99% left, though, that doesn't matter. What does matter is that only half of the show is free, and the other half requires a subscription. This goes from $5 a month to $8 a month on August 1st. I'm putting in for another six months before the price hike takes place, and you may want to train your ear on this as well. A price hike is always a mountain of dinosaur poo, but if there is any place to support one, this is it. Here's a link to that extended show. You can still find the one-hour version on itunes ore other podcast hosts. I've got a fifty minutes train ride to and from my workplace, so I've got a lot of time each day to roll whatever way. I often read a book while delving into the weird world of binaural beats. This is where you radiate slightly different frequencies in each ear to create a weird ghost frequency in the center of your head. Nikola Tesla said frequency was at the core of existence, so following subtle air of the binaural beat can lead you places. We're focusing on the Sonic Elevator today, but there are myriad paths to take and I may even trace along a few of those in the future. But today you're getting links to a few of the ones that have been psychedelicizing my train time as of late. They have permeated my life more and more over the years. I've only got an 8GB iPod these days (a pink one just like Zootopia's Judy Hopps, but with an apple instead of a carrot - it used to be my wife's) and Iasos always makes the cut. Now - the school I work at tends to play terrible pop music in the lobby. Sometimes I sneak to the computer and switch it to something groovier. Last week I threw in Miles Davis' "In a Silent Way" and a Bob Marley best of. And then I thought to put in Iasos. Y'know, something good to study too. I found that the man has produced plenty more music all the way up to the present, and has some fantastic Youtube lectures on music to boot. The music was absolutely groovy in the lobby, and I had to contact the man himself. He came across as a very enlightened being over email and got me set up with some of his more modern music. You could look him up on Youtube for whatever, but I'm going to share with a full-on wealth of Atlantean vibrational tones that the man has been putting out for decades now. There's a bit more of the digital nowadays, but if you can put the soul behind those virtual instruments, then the ends justify the means. Iasos is aurally enlightening souls and doing no harm as far as I can tell, so the digital ends can justify the absolutely engroovied ends in this case. Now - you may think that's cool, but dear Doctor, Iasos is just recycling New Age tropes. Let's reiterate that this guy invented most of those tropes. If you are familiar with Jane Roberts' Seth Material, I have pretty much considered Iasos' 70's recordings as the soundtrack to that. Now I've got more. And so do you! I'd head for "Essence of Lemuria" to start with, and I'm embedding that one. 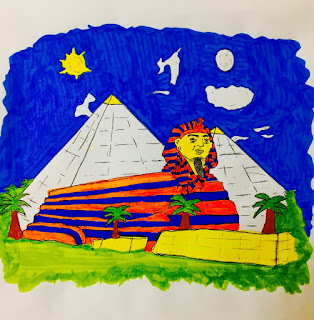 Click on the banner and you can scroll down for the links to the aforementioned "Inter-Dimensional Music" or "Angelic Sound," along with plenty of other tones to vibrate the Great Pyramid. Did I ever tell you that the Doctor is an absolute Trekkie? 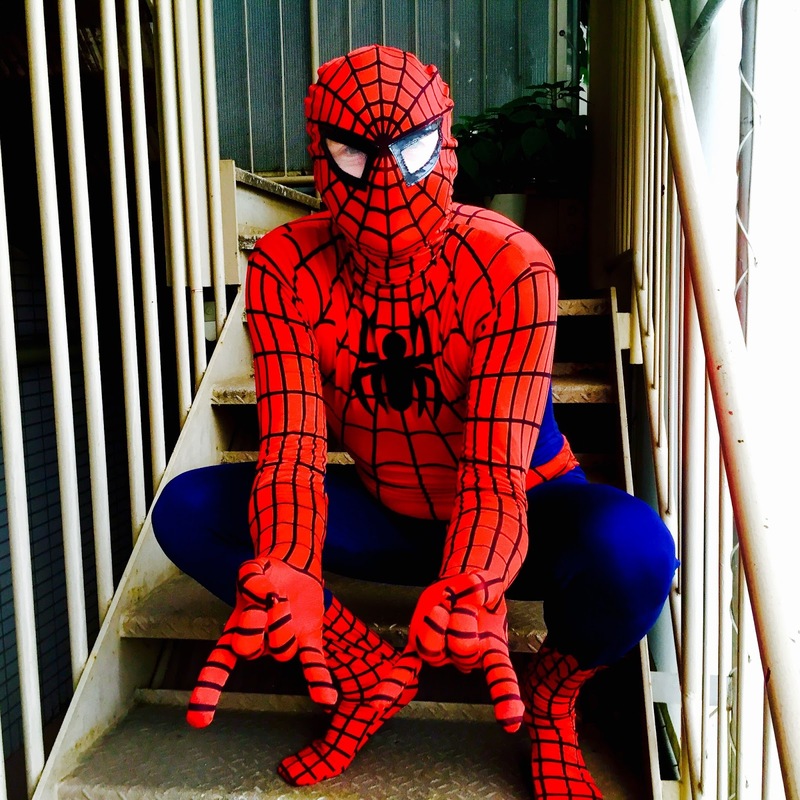 I don't go to conventions or do cosplay (unless it's Spider Man), but I do watch the show in the movies on a regular basis. I can answer most intermediate trivia questions about anything Trek. Anyway, I've been getting into the Mission Log podcast enough to blast a somewhat politically charged message their way a month or so ago. They read it and answered it in depth on last week's episode starting at 27 minutes deep. Do note that I go by "Matt" when you're in the same room. Here's a link, although I'd personally head for my itunes, where you can also find it. 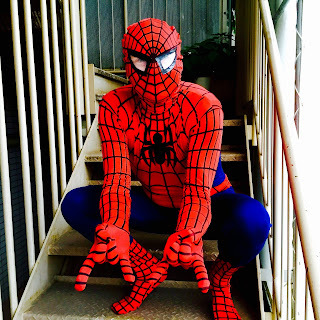 And here I am as Spider Man (don't own Star Fleet digs). We're always busy making music here at the garage, and here's a fun sized bit to gnaw on. My eight-year-old daughter always want me to play Prince in the car, and working with Curtis Mayfield's keyboardist a few months ago had me binging on Curtis. Pour in some 8-bit psychedelia, throw in a dash of mystical politics, and you've got "Telepathine." 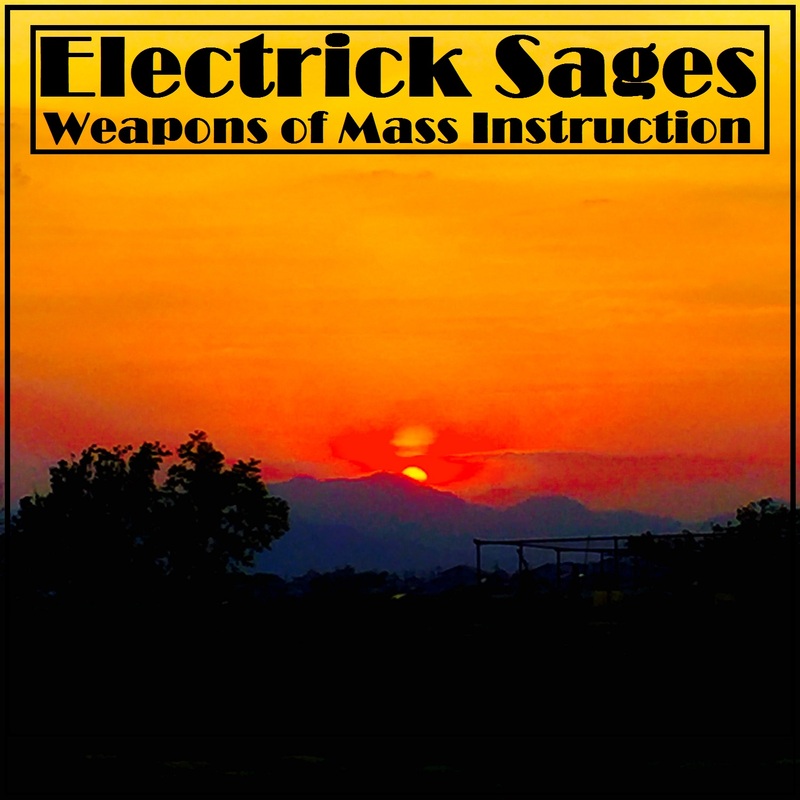 The album, now titled "Weapons of Mass Instruction," is due to drop on March 2nd. 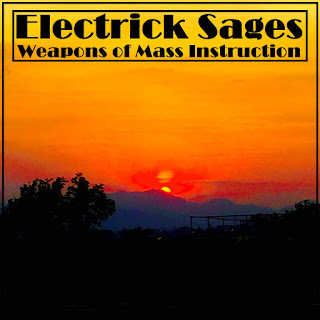 For better or for worse, the delirious psychedelic rocking of the Glaze of Cathexis is now in our past while we continue as the plastic soul weirdos of the Electrick Sages. These are the tunes that folks played the most as we were "glazing" and bowing at the shines of Sonic Youth, My Bloody Valentine, and Husker Du while thinking about John Lennon and R.E.M. 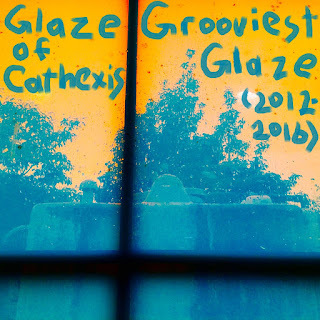 The results skew a bit towards the live-wire noise rock edge of the band, but head on over to the albums at http://glazeofcathexis.bandcamp.com if you need some more baladeering and ambient instrumentals. This release does give you a full glance at our DNA, though. The band ran for ten years, so this is the second half of the journey. We'll hit up some of the preliminaries at another time. 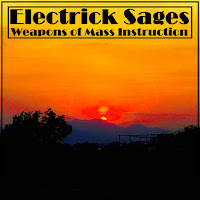 "High Desert Prophecies" video is included with this download. Where have I been? Listening to crateloads of funk, soul, and electric jazz. My daughter only accepts Prince playing in the car. So here we are - joined by Buzz Amato - a keyboard extraordinaire who played with and was musical director for Curtis Mayfield's band in the late 80's, and who has also played with groovy acts like Slave and The Three Degrees. We've got his services on a vintage Fender Rhodes electric keyboard and Hammond organ sending the title tune into the absolute stratosphere. "Voyage of the Celeste" is an electronic journey through digital nodes taking you to the words of our Roving Sage, Australian mystic Scott Atkinson on "Cloudland Cloudscape Vast." 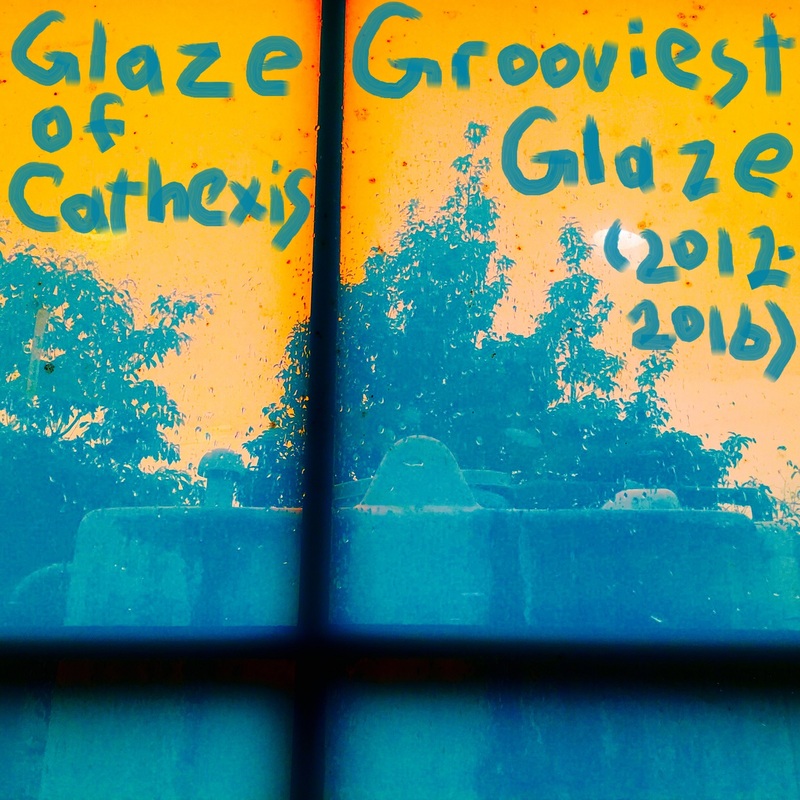 Then, if you're missing the psychedelic rock tones of the Glaze of Cathexis, your desires shall be satisfied on "Cosmologic Medicine." It was never an outtake - it just took me forever to get the guitar and vocals right, but now they are. We're here to send Atlantean vibrational tones through your skull as we all reach for immaculate tomorrows. 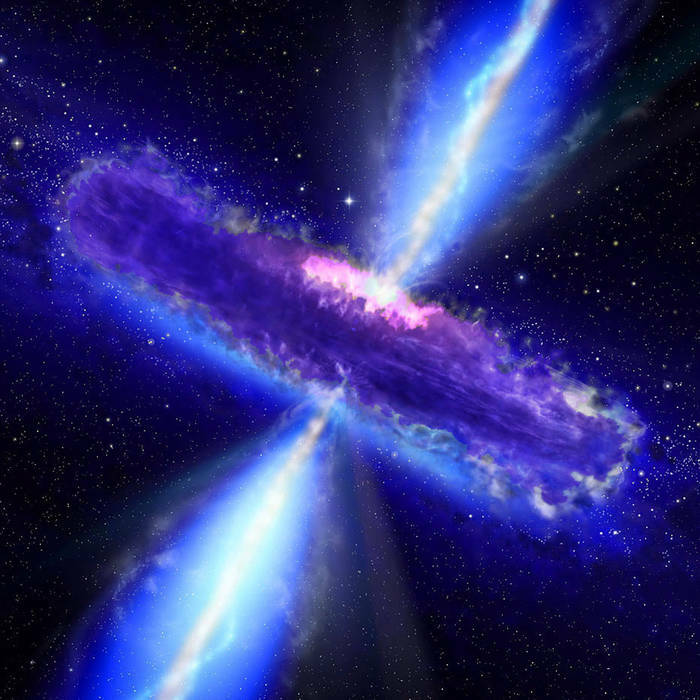 Deep dive with us here as we explore the subconscious infinite with this EP and video. Our plastic soul LP will drop down to you on February 13th.